Soils and Stone provide permeable sub-base aggregates and laying course sands for use on roadways, hard standings or driveways where a Sustainable Drainage System (SuDS) is required. SuDS aggregates allow surface water to permeate through the sub-base into the underlying ground. With increasing pressure on further urban development planners and developers alike need to take account of how water run-off is managed. Angular in nature, when compacted down, the SuDS aggregate locks together to create a strong, stable and porous sub-base which allows water to be stored and then gradually released. This is topped off with a laying course and permeable paving. Available in limestone or granite, this material contains no fines. Soils and Stone can supply 2 – 6mm, 4 – 20mm, 10 – 63mm permeable sub-base aggregate nationwide, in the loose or via industry standard bulk bags. Our delivery options include grab, tipper or hiab crane off-load. Call our team today to discuss your requirement. Our 2 – 6mm is an ideal top layer of any SuDS solutions. Typically, a 50mm top bedding layer of 2 – 6 mm SuDS is placed on larger 250mm course of 4 – 20mm SuDS aggregate prior to laying permeable block paving. This combination will allow excess water to slowly drain into the underlying ground and water systems. 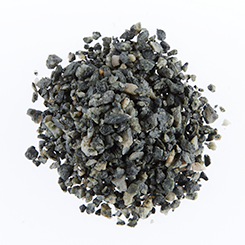 Our 4 – 20mm SuDS aggregate is an ideal upper sub base material when creating any permeable solution. 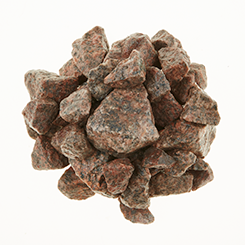 It’s larger size means it is often used as a base layer to our 2 – 6mm SuDs aggregate. In addition it provides increased void space allowing even water storage. 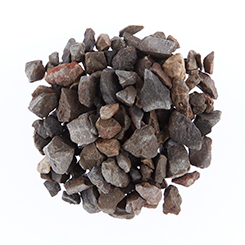 Our 10 – 63mm SuDS aggregate is an ideal lower sub base material when creating any permeable solution. A clean, no fines angular stone provides a 30% void space and enhanced water storage capability when laid on the sub-grade.